Decanter kicked off the first day of Vinexpo by hosting the fair's first masterclass, 'Excellence in unexpected places', showcasing eight medal winning wines from the Decanter World Wine Awards 2015. Decanter publishing director Sarah Kemp was joined by DWWA chair Steven Spurrier, vice-chair Gerard Basset MW MS OBE, and judges Markus del Monego MW and Paolo Basso, who chose their favourite wines from among this year’s more unexpected medal winners. 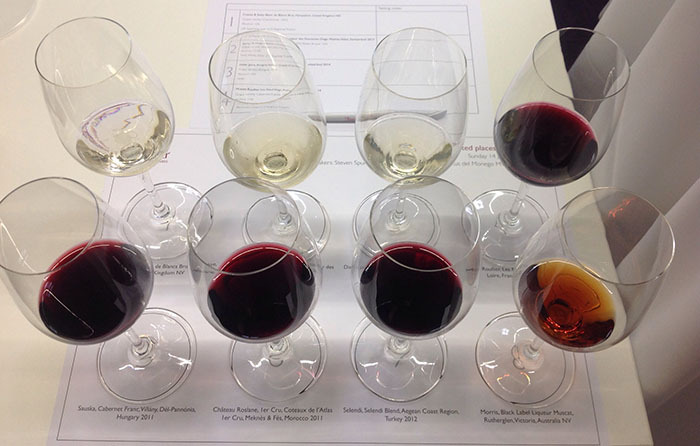 The masterclass also highlighted the success of the Decanter World Wine Awards in showcasing highly quality wines from unexpected countries and regions, including the Slovenian wine that won international trophy for Sweet wine over £15. As the wines are all judged blind, the awards give the ‘little guys a chance to stand up to the big guys’, said Sarah Kemp.